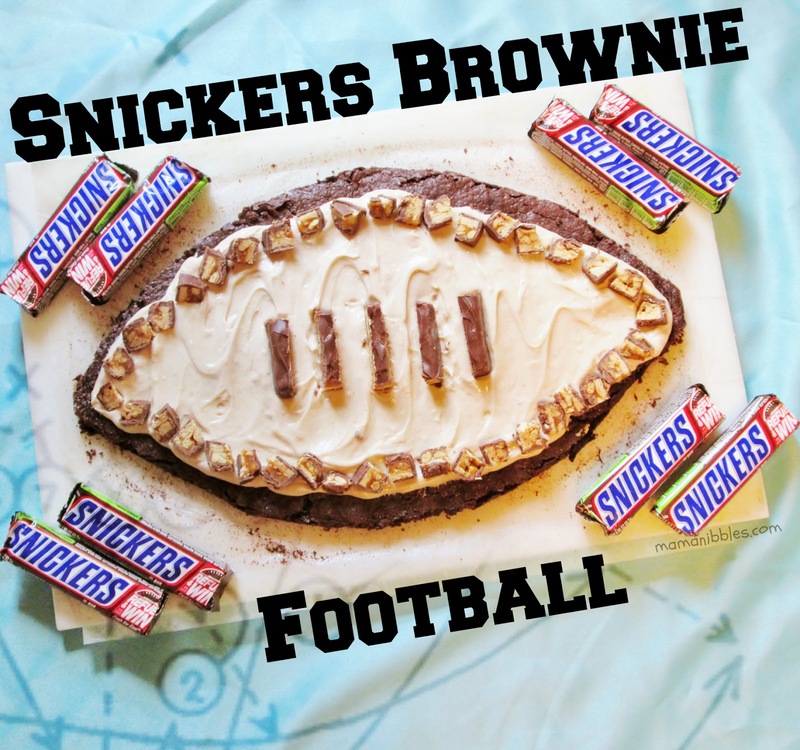 Even though we are only just in the NFL preseason I thought it would be fun to make a little chocolatey football themed dessert. Since everybody already has football on the brain, why not run with the theme for our after supper dessert tonight. This dessert recipe would of course be really great for a game day party too. It is so easy to make and so delicious! If you wanted to change it up you could add some hazelnut or peanut butter spread into the cream cheese frosting. My kids used up all my peanut butter the day I needed to make this or else that would have been in there. I just cut the brownie pizza into wedges when it is time to serve and that works out really great. In just a few easy steps you can make this delicious treat! Let's get started! 12. This needs to be refrigerated if not eating right away, it can totally be made a day ahead of time and then pulled out to serve cold from the fridge. ENJOY!